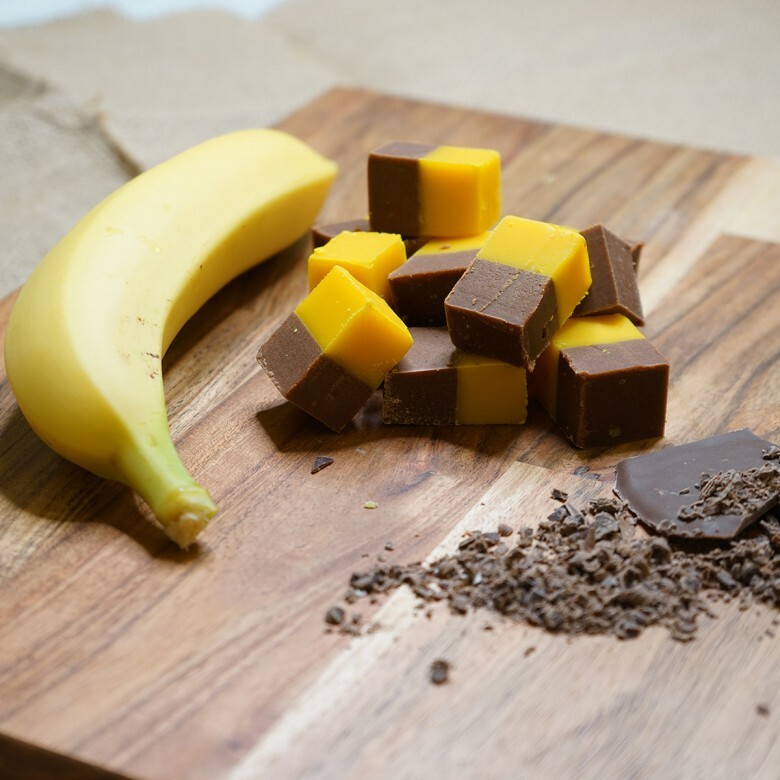 Banana Chocolate Fudge - One of our more popular flavours. Our Banana Chocolate Fudge is whipped in one of our copper pans to create a fudge that is soft and smooth in texture with a distinctive strong fresh Banana flavour. This fudge is then layered onto Chocolate Fudge to give the product its distinctive half and half appearance. May contain NUT and PEANUT traces. For allergy information please see bold text. 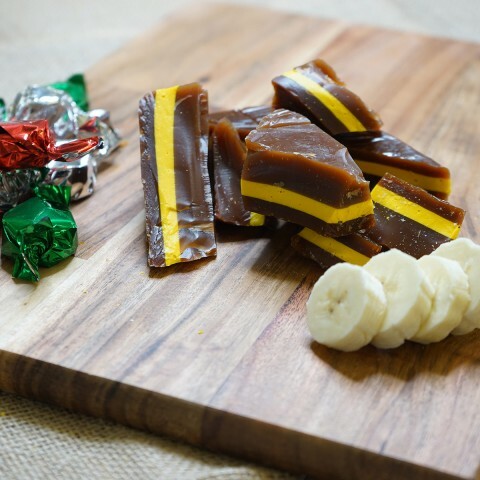 Banana Fudge is available in two sizes; a 150 gram bag or a 450 gram box.